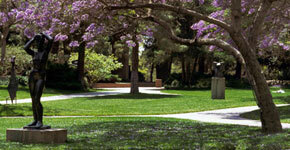 The UCLA Guest House is located in the northeast area of the UCLA campus in West Los Angeles and is convenient to local area attractions. These include the Getty Center, Staples Center, the California Science Center, Universal Studios, Disneyland® Resort, Beverly Hills, and the Santa Monica Pier. 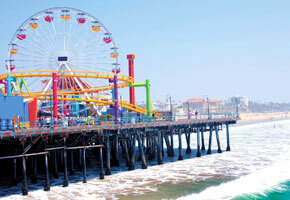 Whatever your travel itinerary, our location is a great home base for exploring all of southern California. Explore all that the UCLA campus has to offer — museums, landmark buildings displaying sturnning architecture, performances from the Center for the Art of Performance (CAP) at UCLA, world-renowned gardens, and more. 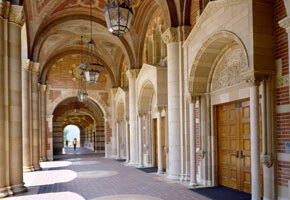 Westwood Village is UCLA's unofficial "college town." This local shopping and dining district directly south of campus is only a several minute walk from most major campus attractions and buildings. 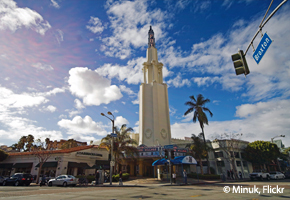 Westwood has a prominent place in Los Angeles film and entertainment history, with several vintage landmark theaters including the Fox Theater and the Bruin Theatre where movie premieres are still held today. Beverly Hills is one of the most well-known neighborhoods and shopping districts in the world, boasting many upscale retail stores, fashion houses, and restaurants along famous streets like Rodeo Drive. 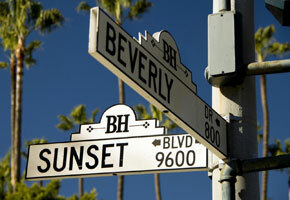 Hollywood is a short driving distance from Beverly Hills and is one of the world's meccas for film and entertainment. Visitors will enjoy finding their favorite actors' or actresses' stars along the Hollywood Walk of Fame, posing with realistic wax statues at the Madame Tussauds wax museum, visiting Universal Studios, and more. 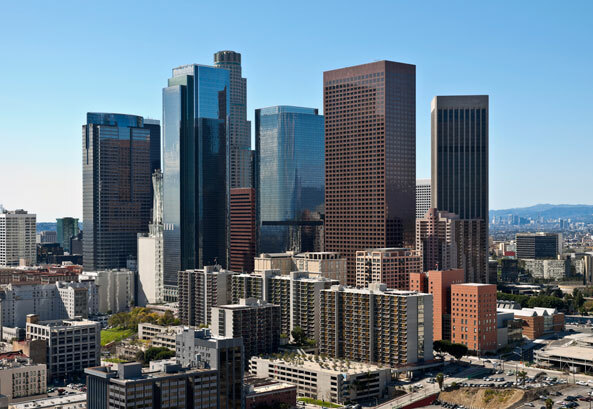 Downtown Los Angeles is home to both a rich history, found in magnificent buildings like Union Station, and stunning contemporary attractions, like the Walt Disney Concert Hall designed by architect, Frank Gehry. Visitors to the downtown area can easily enjoy a variety of cultural experiences in a single day, simply by walking between the close-knit ethnic neighborhoods in the city, such as Chinatown and Little Tokyo. The city is also divided into different arts and merchant districts, such as the Fashion District, Gallery Row, the Toy District, and more. From Malibu to the Port of Los Angeles, the beach cities of Los Angeles are picturesque and home to many iconic attractions, including Santa Monica Pier, the eclectic Venice Beach Promenade, Muscle Beach, and more. Visitors to this area can enjoy fresh seafood, innovative California cuisine, and a variety of outdoor activities, such as biking, hiking, and surfing — perfect ways to take advantage of Southern California's mild and sunny climate. 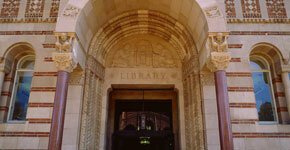 While Powell Library is most well-known for its Romanesque Revival style, cavernous study spaces, and extensive book collection, it also features a selection of cultural programs, such as "Music in the Rotunda" which features UCLA alumni who have gone on to become professional musicians, and performances from the music department. The Franklin D. Murphy Sculpture Garden is an expansive five acres of lush greenery and a permanent outdoor exhibit of more than 70 sculptures by artists such as Auguste Rodin, Jean Arp, and more. You may book a tour online with at least one month's notification (contact the Hammer Museum at UCLA). 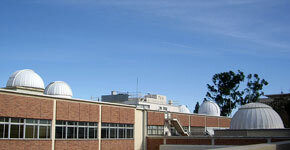 The UCLA Planetarium offers free shows presented by current astronomy and astrophysics graduate students. Learn about the current night sky, constellations, astronomical phenomena, and more. Following the show, guests are also invited to view the night sky through UCLA's telescopes.